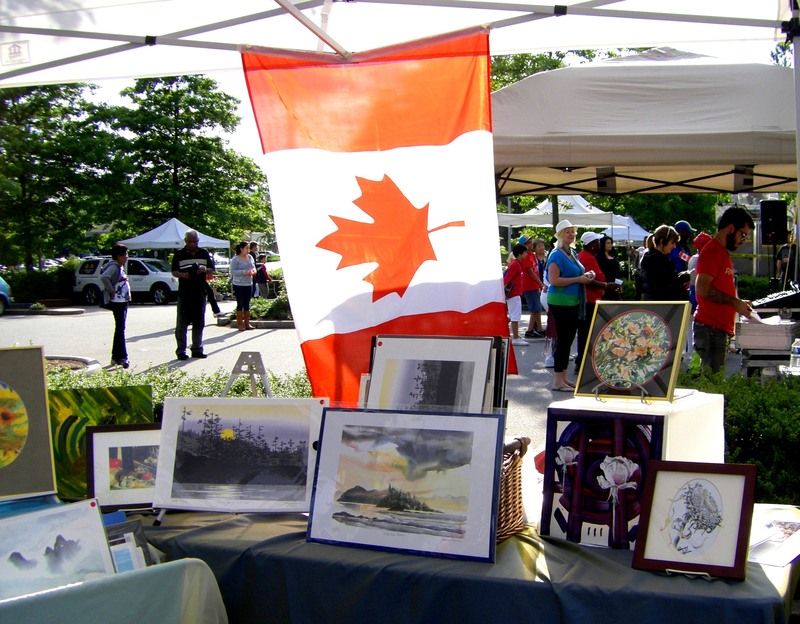 Canada Day at Coquitlam BC, art and events planned with Evergreen Cultural Ctr. and Gallery. The day starts in mists surrounding the lake, the tents and us, by afternoon sun at last, along with hundreds of smiling faces tattoed with Canadian flags, little ones, dogs and more – What fun! 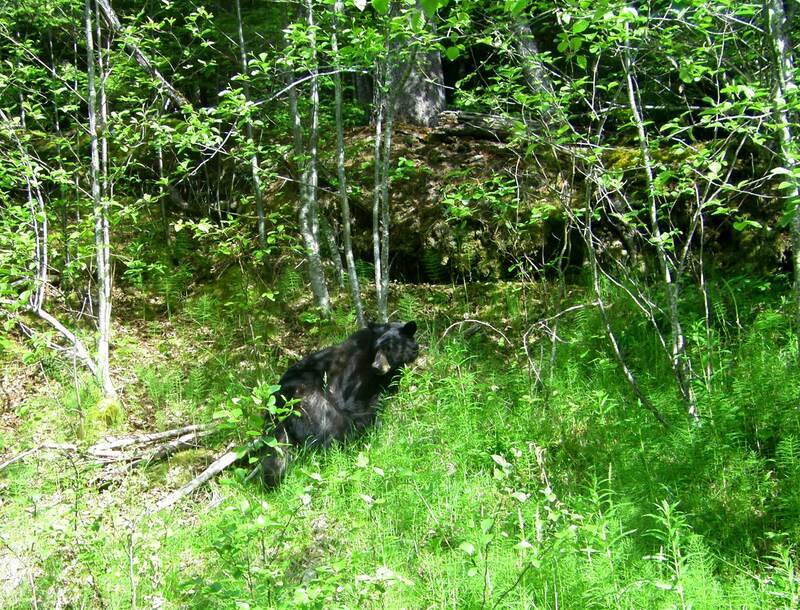 One of six BC bears we sighted between Whistler and Lilloet. All obligingly posed while they browsed new greens. Green along the road, silver raindrops and occasional blue skies were sighted during June and early July! Tags: nature, outdoors | Permalink.